The custom design process that Stromberg offers means you’ll have a wide variety of choices for your GFRC church entryway. Stromberg can construct an entryway for your church in glass fiber reinforced concrete (GFRC) this is elegant and inspiring. You can count on Stromberg to provide a GFRC entryway for your ecclesiastical setting that combines style and durability, yet will also be a gracious entryway for worshipers. Stromberg GFRC entryways are available in a wide variety of colors, textures and finishes. If you like the look of natural stone, their GFRC can be made to resemble limestone or terra cotta. GFRC entryways can also be painted in the color of your choice. Glass fiber reinforced concrete (GFRC) is a combination of cement, glass fibers, aggregates and polymers. Stromberg led the way in the creation of GFRC and they have been using it in various applications for the last 30 years. GFRC is lightweight and rustproof because it’s reinforced with glass fibers instead of concrete, yet it’s also very durable and is also fire-retardant. 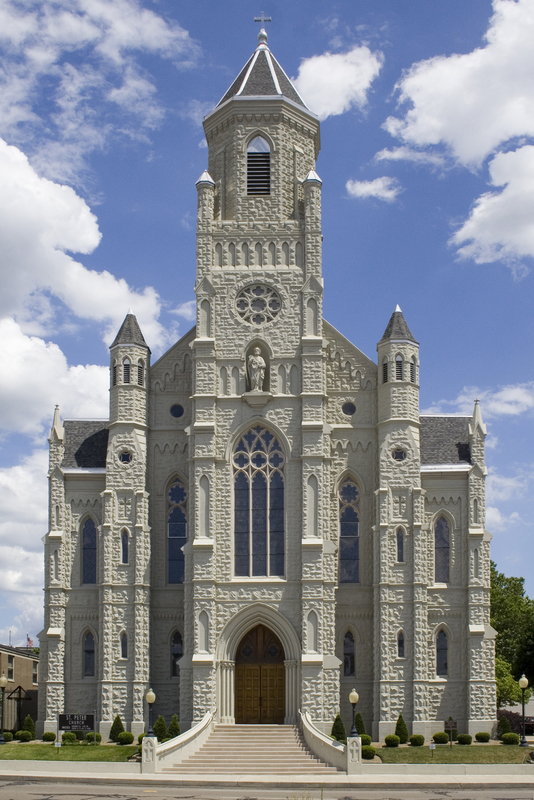 Glass fiber reinforced concrete (GFRC) can stand up to the elements like moisture and acid rain and is a very popular choice for the modern church entryways of today. GFRC is an enduring material that will provide your entryway with that picture-perfect touch. Stromberg has crafted many ecclesiastical entryways using GFRC; since it’s so much lighter than stone it can be cast in any shape. An entryway made with GFRC weighs a fraction of what one made with real stone weighs, so it’s much more adaptable to specific projects. Stromberg’s time-tested use of GFRC means that your church entryway will last for generations to come. GFRC entryways are available in many textures, finishes and colors. GFRC entryways can be painted in the color or your choice. GFRC is strong, durable, weather resistant and fire retardant. GFRC custom designs are available from Stromberg. The talented professionals at Stromberg Architectural Products will work with you and guide your project to completion according to your specifications. They will make sure your GFRC church entryway is not only appealing to worshipers but made to stand up to the elements. Stromberg offers their help with CAD details, design assistance and specifications. Contact them today at (903)454-0904 for your free custom design quote, or email them.